What are the chances on a battlefield hosting opposing armies that two bullets fired through the air at the same time from rival soldiers would hit mid-air, one becoming lodged in the other? The two enmeshed bullets in the photo above were found in 1916 in Turkey after the Battle of Gallipoli which raged for nearly ten months during World War I. On Wednesday of this week Australia commemorated ANZAC DAY. In recent decades this day of remembrance has been used to pay tribute to those who have given their life in the service of their country in armed conflicts and wars around the world. ANZAC DAYS’ original meaning was intended to honour Australian and New Zealand soldiers who had died in just one battle – Gallipoli. Australian school children are taught that this decisive conflict of World War I, in which an estimated combined total of nearly 400 000 soldiers on all sides died, was a defining ‘coming of age’ moment in our nation’s history (as it was in Turkey‘s). was definitely punching above their weight in the philosophical stakes that day. To mark the occasion from Wednesday I’d like to chronicle this collection of personally curated memorable images from major armed conflicts over the last seven decades. A line of soldiers march in British Columbia on their way to a waiting train as five-year-old Whitey Bernard tugs away from his mother’s hand to reach out for his father. Flames and smoke surround the dome of St. Paul’s Cathedral which was left unscathed during the start of a German incendiary bomb “blitz” on London. Mass paratrooper drop in the snow during WWII. British troops examine captured Nazi mini-tanks. The allied troops nicknamed these German weapons ‘Doodlebugs’. They were run with a joystick operated by a controller. Each mini-tank had coiled within its compartments 650 metres of cable leading back to the controller. ‘Doodlebugs’ were meant to slide under Allied tanks and deliver their explosive payload to the vulnerable undersides of their much larger machine cousins. Using overhead targets, a North Vietcong militia company practices firing ahead of speeding aircraft in Thanh Tri. Even using antiquated WWII rifles such as these, the Vietnamese were able to cripple or down many U.S. aircraft. An improvised operating room in a mangrove swamp on the Ca Mau Peninsula in South Vietnam. Ethnic Cambodian guerrilla Danh Son Huol is on the stretcher. Activists meet in the Nam Can forest, Sth Vietnam, wearing masks to hide their identities from one another in case of capture and interrogation. After spending more than five years in a North Vietnamese POW camp, Lt. Col. Robert L. Stirm is reunited with his family at Travis Air Force Base, March 13, 1973. This Pulitzer Prize winning photograph came to symbolize the end of United States involvement in the Vietnam War, and the prevailing sentiment that military personnel and their families could begin a process of healing after enduring the horrors of war. Three days before this photograph was taken the Airforce Colonel received a letter from his wife saying she wanted a divorce. Combat boots litter the road on the outskirts of Saigon, abandoned by ARVN soldiers who shed their uniforms to hide their status. “I’ll never forget the shoes and the loud ‘thump, thump, thump’ sound as we drove over them,” recalled the photographer. British Prime Minister Margaret Thatcher poses with troops during the Falklands War. A British Royal Marine from 42 Commando fires a Milan wire-guided missile at an Iraqi position on the Al Faw peninsula, southern Iraq. Former Iraqi leader Saddam Hussein moments after his capture by US forces in a farm house outside Tikrit, December 14th 2003. Heavy artillery fire among low-lying mist in Afghanistan. 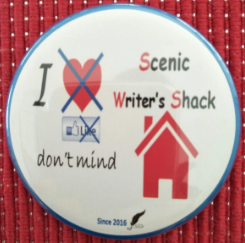 Thankyou for visiting the SCENIC WRITER’S SHACK War Memorial. The noise and fist-shaking has all been over Event Cinema‘s decision to bring forward by one day the release of AVENGER’S: INFINITY WAR to coincide with the public holiday for ANZAC DAY (Cinemas in Australia release new movies on a Thursday). Critics adopted the moral high ground and attempted to paint the picture that this decision was a blatant cash grab that was somehow disrespectful to the memory of fallen Australasian soldiers that ANZAC DAY is supposed to commemorate. The objection was based on the idea that (A) AVENGERS: INFINITY WAR is a war movie and it is not appropriate to present war as entertainment on a day such as ANZAC DAY (B) making money on ANZAC DAY that does not directly benefit war widows or veterans organisations is somehow contrary to the spirit of the occasion. The objections to the timing of the release of the movie came from numerous quarters including the host of Channel 9‘s TODAY show, Karl Stefanovic. While I somewhat agree with Karl when he says parents would have been better off explaining to their children the significance of ANZAC DAY and maybe taking them to a service or a parade marking the occasion, is there any reason why parents could not have done that AND taken their children to this movie on the same day? As to the notion that this Marvel Studio film can be legitimately classed as a war movie, that is surely stretching the definition of what can be considered a ‘War Film’ beyond all reason. Films that center their events on World War 1 or World War 2, the Korean, Vietnam, Iraq or Afghanistan Wars or any of the other major armed conflicts of modern times are to most people what is generally understood to be a war movie. AVENGERS: INFINITY WAR most obviously belongs in the superheros science fiction camp and to suggest otherwise is deliberately misleading. Pss. Staying on the war theme, comes this week’s book recommendation – DEAR MRS BIRD by first time English novelist A.J Pearce (Find Out More Here) published earlier this month. Emmeline Lake and her best friend Bunty are trying to make the most of things in Luftwaffe-strafed 1940 London, putting their best feet forward and all that. In Emmeline’s case she’s desperate to become a lady War Correspondent. But with those jobs thin on the ground, instead she finds herself typing out the woebegone letters sent to Henrietta Bird, an agony aunt type columnist in the pages of Women’s Friend Magazine. Mrs. Bird is very clear: letters containing any unpleasantness must go straight in the bin. But when Emmy reads poignant notes from women who may have gone too far with the wrong men, or who can’t bear to let their children be evacuated, she is unable to resist responding. As the German planes make their nightly raids, and London picks up the smoldering pieces each morning, Emmy secretly begins to write back to the readers who have poured out their troubles. DEAR MRS BIRD has been described as hilariously funny and a moving tale of friendship in a magically recreated London-during-the-Blitz era. Psss. QWEEKEND MAGAZINE is a weekly insert in the Saturday edition of The Courier Mail newspaper. The magazine claims a readership of 275 000 people. Taking out a double page advertisement in it will set you back in excess of $42 000. Pssss. And in the tradition of SWS celebrating success wherever it finds it, final words this week go in the form of congratulation to the Sydney based St George Dragons NRL Club who have successfully tendered to have a team included in the inaugural 2018 Women’s Premiership sponsored by Holden. The Dragons will be joined by the Brisbane Broncos, Sydney Roosters and New Zealand Warriors in an elite four team, month-long competition that will be played during the NRL finals series. The AFL kicked off their women’s competition last year. As a wise person once observed, if you think 60 seconds goes by fast you’ve never tried planking. My affair with this flavour-of-the-month abdominal muscles exercise was short-lived but intense, strained but powerful and most definitely for a brief time bordering on the fanatical. Like most affairs everything was going merrily until (A) someone found out and (B) someone got hurt. In both cases that ‘someone’ happened to be my lower vertebrae. Over the weeks and months I’d gradually levelled up to the point of being able to hold my ‘plank’ for around three and a half minutes (a so-called ‘feat’ experienced plankers will take knee-slapping amusement in), body shaking all the while like a Tokyo skyscraper trying to hold it together during a 9.5 Richter scale earthquake. Having achieved this career high, it was then time to suffer the backlash. And I do literally mean back-lash. Planking and I waved goodbye to each other that same day, promising like two parting friends to stay in touch but knowing deep down that would be the last time we would ever see each other. Enter then the lightbulb moment of inspiration: like Sly Stallone in Rocky 5, (the movie where Rocky trades in his boxing gloves to become a trainer for the marvelously unlikable ‘Tommy Gunn‘) an idea washed up on my shore that would allow me to continue to breathe in the sweat-stained air of the planking universe minus the geriatric-inducing wear and tear on my non-gravity defying lumbar. I would seamlessly morph into, not a coach (like Rocky) of an on-the-rise fellow planker, but a promoter of an organised and sanctioned ‘All Comers Welcome’ Planking Event. And so it was that SCENIC WRITER’S SHACK elbowed its way past all other competing aspirants who were unashamably waving all manner of cash and inducements to compete for the honour of being named chief sponsor of the GASS STAFF PLANKING CHALLENGE. Exactly here is where I was supposed to insert the publicity photos of the event that took place on the polished wooden floorboards of my school auditorium a few days back. Due to a malfunctioning camera that’s now been flung face first onto concrete from a great height (ok, that’s what I felt like doing) that isn’t possible. Instead you’ll just have to imagine eight education staff trying to outplank each other in front of a 100 strong audience of cheering, woo-hooing teachers, deputy principals, support staff and curriculum heads. See it-feel it now? Kind of? And what’s someone have to do to earn the title of ‘sponsor’ I bionically hear you wonder? which even the most mean-spirited critic would have to agree is still a step up from a packet of trail mix and a mackerel fish cotton tie (and probably two steps up from back in 2015 when the US version of The Price Is Right tv game show awarded a treadmill to a contestant in a wheelchair). Before we leave the subject of planking altogether, time briefly to dust off the history books to distinguish between the two different forms of the practice. The original ‘lying-face-down-in-public-places-like-a-stiff-plank-of-wood’ incarnation took on throughout the world around the late 2000’s. The term “Planking” was coined by South Australian man Sam Weckert in the summer of 2008. Weckert created a Facebook fan page to share “planking” photos. After reports of the practice started appearing in the Australian media, it grew rapidly and the meme became a global phenomenon. After reports of the craze in the British media in 2009, the lying down game spread to the rest of the world. Worldwide it has also been known as “extreme lying down” and “facedowns”. In more recent years, ‘fitness planking’ has evolved which requires the practitioner to elevate their torso off the ground via use of their elbows, forearms and toes. Ps. This week’s BONUS READ is about a BBC Radio program called DESERT ISLAND DISCS. The Sunday morning show has been running for 76 years and currently has a listening audience each week of around 3 million people. Celebrity guests are asked what one song, one book and one luxury item they would take to a desert island. Pss. Continuing in our series of previewing books with interesting sounding plot synopses (which may or may not be as interesting to actually read in full) comes the 2017 crime fiction novel AND FIRE CAME DOWN from Melbourne writer Emma Viskic. But when a young woman is killed after pleading for his help in sign language, Caleb is determined to find out who she was. And the trail leads straight to his hometown, Resurrection Bay. The town is on bushfire alert and simmering with racial tensions. As he delves deeper, Caleb uncovers secrets that could threaten his life and any chance of reuniting with Kat. Driven by his demons, he pushes on. But who is he willing to sacrifice along the way? AND FIRE CAME DOWN has won a host of awards and received acclaim from critics and readers alike. Apparently the prose sprints along and is sprinkled with enough Australian colloquialisms to make even Kath & Kim proud. Pssss. Can’t leave without devoting a parting thought to the 21st Commonwealth Games held on the Gold Coast (Australia) – the much criticized closing ceremony of which was held last Sunday night. Attended by athletes from 71 nations competing in 19 different sports, these games marked the first time a major multi-sport event achieved gender equality by having an equal number of events for both male and female athletes. The complete integration of the para sports with the able-bodied events (instead of them being staged as a separate spectacle following the regular games) was also a first. If I had to choose a viewing highlight from amongst many, for sheer memorable strangeness, it would have to have been the sight of Nigerian female wrestler Blessing Oborududu engaged in an overly long, wild and mat-rolling victory celebration after winning the 68kg freestyle women’s wrestling category, while her defeated Canadian opponent looked on completely unimpressed. JOIN THE CELEBRATION TO END ALL CELEBRATIONS HERE! The standard joke about Friday the 13th is that people would dread it a lot more if it fell on a Monday. And for people who think their luck generally couldn’t get much worse anyway, Friday the 13th isn’t going to have them reaching for the over–the–counter / under– the–tongue anti–anxiety spray anymore then they usually would. Whether you’re superstitious, just a little bit stitious or a solid non-believer in all that not–stepping–on–sidewalk–cracks or walking–under–ladders guff, you’d have to think these days that degree of flapddodle would have far less (if any) a hold over the average punter’s thoughts than compared to say two hundred years ago. The old superstitions (bad luck comes in threes, cross your fingers, don’t open umbrellas inside a house, stirring your tea or coffee counter-clockwise is bad luck etc.) and the stick-your-head-in-the-sand irrationality they represent thankfully seem to fade with each passing year and exist now only in bad screenplays and first novels. On another thought, I’m compelled to ask if anyone actually watches any of the FRIDAY THE 13th horror films on Friday the 13th? (They’ve made 12 so far with another due out at the end of this year) That’s pretty similar to asking does any one watch any of the HALLOWEEN movies at Halloween. Lots of folk watch Christmas movies at Christmas so perhaps its not such a wacky question afterall. These days I’m probably a little embarrassed to admit I still have ten of the FRIDAY THE 13TH films and six of the HALLOWEEN films (they’ve made ten of those) in my polished timber DVD cabinet. There’s no accounting for taste as they say. The origin of Fridays that land on the 13th of the month being considered unlucky is thought by some scholars to date back to the time of Christ when his crucification is thought to have taken place on a Friday (Good Friday) combined with the fact there were 13 people present at The Last Supper the night before. It’s quite possible the publication in 1907 of Thomas W. Lawson‘s popular novel Friday, the Thirteenth, contributed in more recent times to spreading the superstition. In the novel, an unscrupulous broker takes advantage of the superstition to create a Wall Street panic on a Friday the 13th. Am I a person who takes extra care – even a little extra thought – on a day like Friday the 13th? There was a time in my life when I believed in the idea that life presents the astute observer with ‘signs’ as a guide to the decisions we should make or the path we should choose. These days I believe things happen and then we make up the meaning afterwards. Most people would label that the pragmatic approach. One thing I do know is that you can get cheap flights with airlines on a day such as this as many people still try to avoid flying on Friday the 13th if they possibly can. Is that allowing primitive beliefs from centuries past to dictate your decisions? Probably, but even someone such as myself who considers themselves immune from such feather-brained and ‘flighty’ thinking might baulk at signing up for the travel deal outlined below. Ps. Word of the day is… what else but paraskavedekatriaphobia (fear of Friday the 13th). Psss. This week’s book recommendation is a YA novel published last year by Australian author (born and raised in Townsville) Crystal Sutherland. Despite the title, A SEMI DEFINITIVE LIST OF WORSE NIGHTMARES is a story about the joys (and nightmares) of falling in love for the first time. Pssss. Uh-oh! 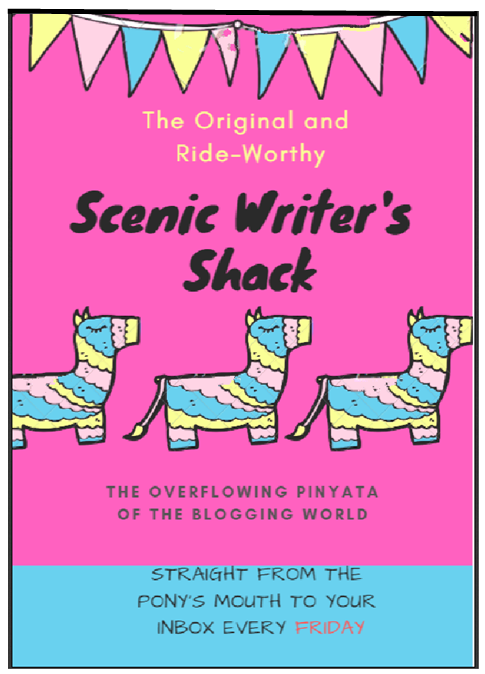 Looks like someone might now be taking themselves a little too seriously… Turns out whoever said writing is like prostitution: first you do it for love, then for a few close friends, and then for money – was a truth sayer of the highest order. Psssss. This didn’t happen on Friday the 13th but it probably should have. Australian readers will no doubt have heard by now of the road rage incident that occurred in Sydney a few days back involving a chainsaw. Channelling his best inner Leatherface, an enraged tradie (HERE) thought he’d do his bit to put Australia at the cutting edge (so to speak) of outrageous behaviour by firing up a chainsaw to up the ante during an altercation in the suburb of Fairfield (Western Sydney) sparked when a car tried to merge in with traffic. This individual pops the latch on a whole new level of ca-razy and he didn’t even need Friday the 13th to spur him on. 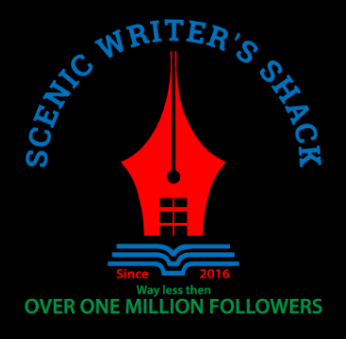 Of the 67 posts published on SCENIC WRITER’S SHACK last year the one which received by far and away the most number of views was a quiz. Here’s hoping lightning strikes twice. The thirteen year old girl in the black and white picture above grew up to become listed by Guinness World Records as the bestselling novelist of all time. Agatha Christie was best known for her 66 detective novels but also published 14 short story collections and wrote the world’s longest running, most watched play THE MOUSETRAP. She also penned six published romances using the pseudonym Mary Westmacott. So how well do you think you know her books? Here’s the set-up: Imagine Agatha is travelling on a train with ten of her most famous mysteries. However, ONE of them is an imposter! Can you identify the fake mystery title before it kills everyone on board? Soon you shall all be summoned to the drawing-room (located at the bottom of this post) where all will be revealed and the imposter shall be unmasked. Until then, if you consider yourself in any way a budding Hercule Poirot or fledging Miss Marple, by all means go ahead and point an accusatory finger at the title you consider is the ring-in. Ps. Here’s a link to the official Agatha Christie website if any of this may have sparked an interest in finding out more about her life or works. If you scroll to the bottom of the homepage you can also sign up to an Agatha Christie monthly newsletter if you wish. PSS. Following last year’s remake of MURDER ON THE ORIENT EXPRESS comes news that 20th Century Fox studios are planning a remake of another Christie classic, DEATH ON THE NILE. The original version, filmed in 1978 and featuring a cast to die for (pun intended) – including the likes of Peter Ustinov (Detective Hercule Poirot) – Angela Lansbury – Bette Davis – Mia Farrow – Maggie Smith – Olivia Hussey – Jane Birkin – David Niven – George Kennedy – Jon Finch – and Jack Warden – is one of my all-time favourite films so I’m naturally skeptical about what any remake could offer in terms of a fresh retelling of the story. We shall see… and no doubt, we shall judge. Whodunnit? Agatha dunnit! This is back in the day when riding waves was the privilege of only a few. The only mystery is – is that an old, old school surfboard she’s holding or a plank of wood? PSSSS. Not sure what Agatha‘s take on this would have been but the following link is to a collection of amusing (hilarious to me) short descriptions posted to Twitter when a Podcast hoster named Whit Reynolds asked her followers to describe themselves how they imagined a bad (meaning hackneyed) male author would see them. PSSSSS. The imposter amongst the Agatha Christie book titles is FOUR PAST MIDNIGHT which was a collection of four novellas written by Stephen King and published in 1990.